OpenSearch is a collection of simple formats for the sharing of search results. More information about OpenSearch can be found on their website. 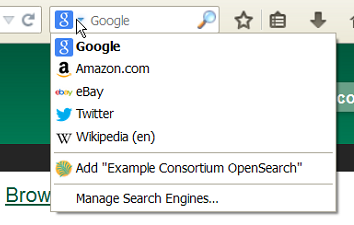 Navigate to any catalog page in your Firefox browser and click on the top right box’s dropdown and select the option for Add "Example Consortium OpenSearch". The label will match the current scope. At this point, it will add a new search option for the location the catalog is currently using. 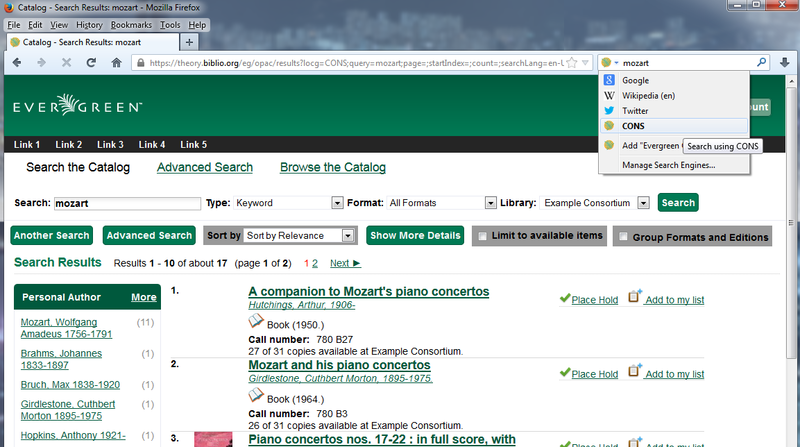 In this example, that is CONS (searching the whole consortium). Enter search terms to begin a keyword search using this source. 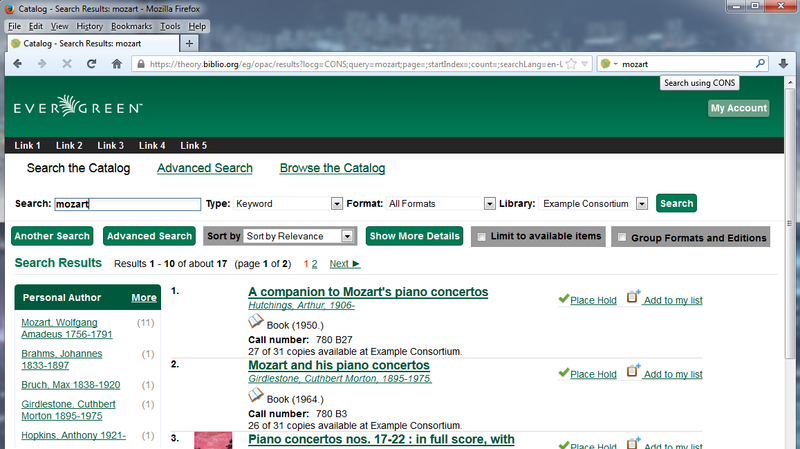 The next image illustrates an example search for "mozart" using the sample bib record set. You can select which search source to use by clicking on the dropdown picker.